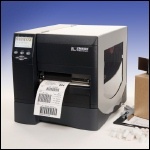 Zebra's ZM600 line of printers has been replaced by the ZT420 series. Model ZM600-2001-0000T, 203 DPI, 10 IPS Print Speed, 16MB DRAM, 8MB Flash, Serial, Parallel, USB, US Plug, ZPL Language. Model ZM600-2001-0100T, 203 DPI, 10 IPS Print Speed, 16MB DRAM, 8MB Flash, Serial, Parallel, USB, 10/100 Prt Server, US Plug, ZPL Language. Model ZM600-2001-1000T, 203 DPI, 10 IPS Print Speed, 16MB DRAM, 8MB Flash, Serial, Parallel, USB, Cutter, US Plug, ZPL Language. Model ZM600-3001-0100T, 300 DPI, 10 IPS Print Speed, 16MB DRAM, 8MB Flash, Serial, Parallel, USB, 10/100 Prt Server, US Plug, ZPL Language.